The Dystopian Man design by spanish/german artist Andi "Still A Kid" Rensen Aguion represents the clash between technology and nature, between men and the Earth. The Dystopian Man is a design created for Møuntain's album "Evolve". Printed on a Gildan Heavy-Cotton shirt, it features a premium textile which is soft and resistant at the same time, also pre-shrinked so the t-shirt won't shrink in the washing machine. The design is printed with water-based ink, to ensure the print is soft on the touch and leaves the skin to breathe and prevents sweaty spots. 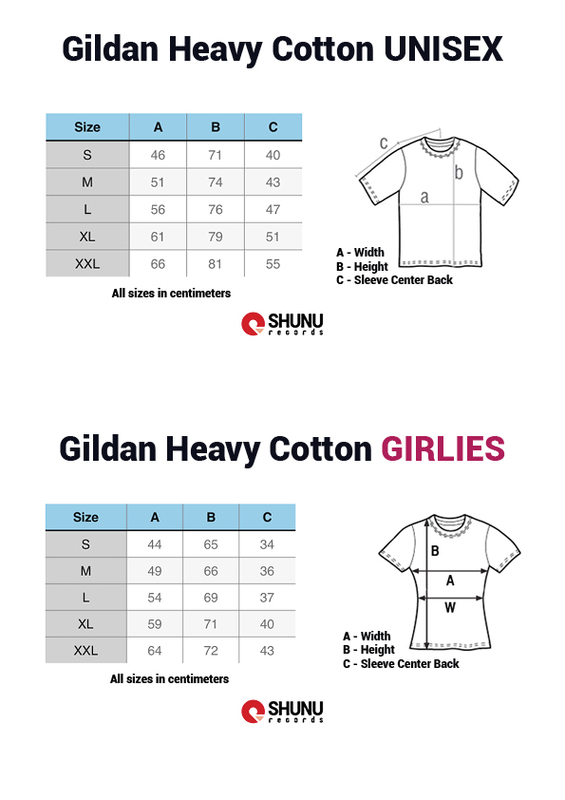 To find your optimal size please chek our size-chart.